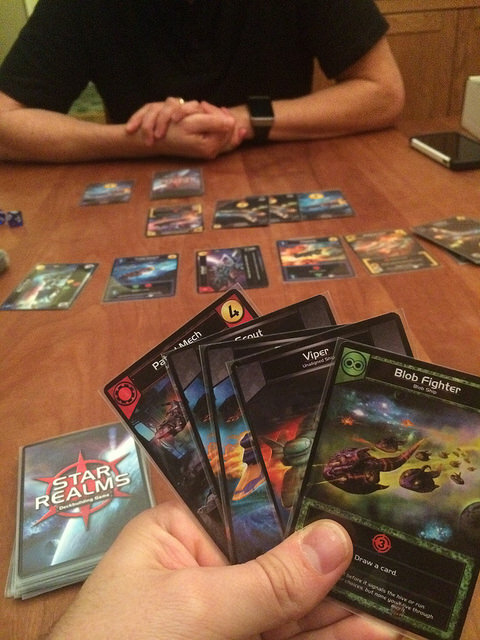 U.Gamers Podcast #099: Star Realms and Warframe – Game/Life Balance U.S.
Jon and Cody say hello to Ryan D., a fellow unqualified gamer, who gives his completely unqualified opinion on the Star Realms deckbuilding game! Plus, Jon talks about Warframe, and Cody reveals his latest gaming addiction! Meet listener Ryan D., who identified all the foul language from early episodes of the Unqualified Gamers Podcast to help Cody clean up the archives! Learn about the Unqualified Gamers Android app, available on Google Play!